The carbon intensity of companies listed at Nasdaq Helsinki has decreased by 20 per cent since last year. This is the result from a study which also compared the carbon intensity of the stock lists in Helsinki and Stockholm for the first time. The change is significant and shows that investors and companies are genuinely working to decrease climate risks. At the same time we also updated the tool for investors to evaluate the CO2 intensity of their investments, i.e. how much carbon emissions are created in relation to the market value and investor’s equity share. 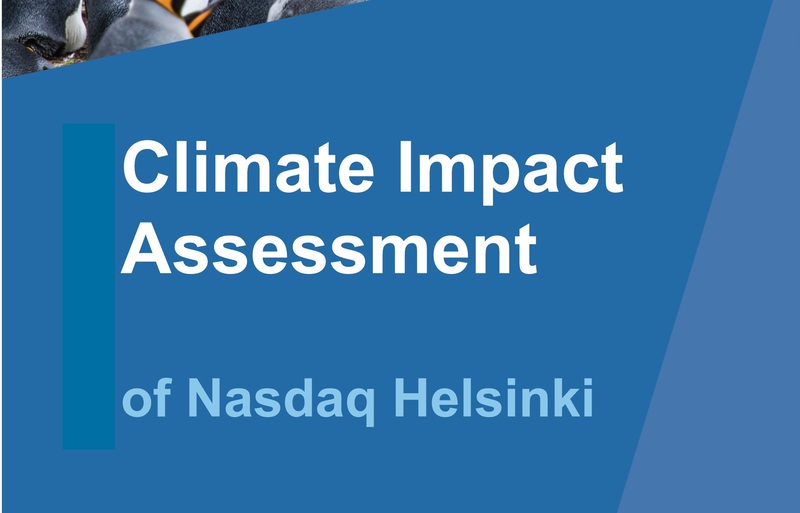 The report continues the work initiated by Sitra last year with Nasdaq Helsinki and Climate Leadership Council CLC.